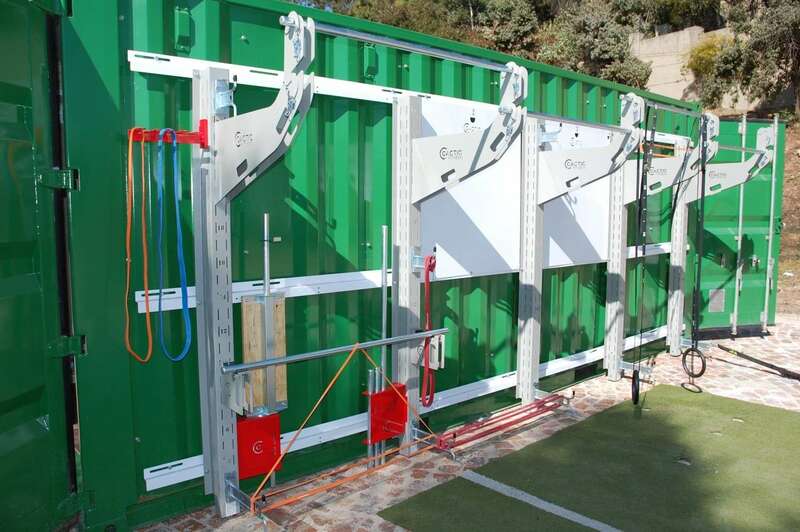 No other container solution comes close to the flexibility, quality and durability of the tried and tested Multi-Sport range. 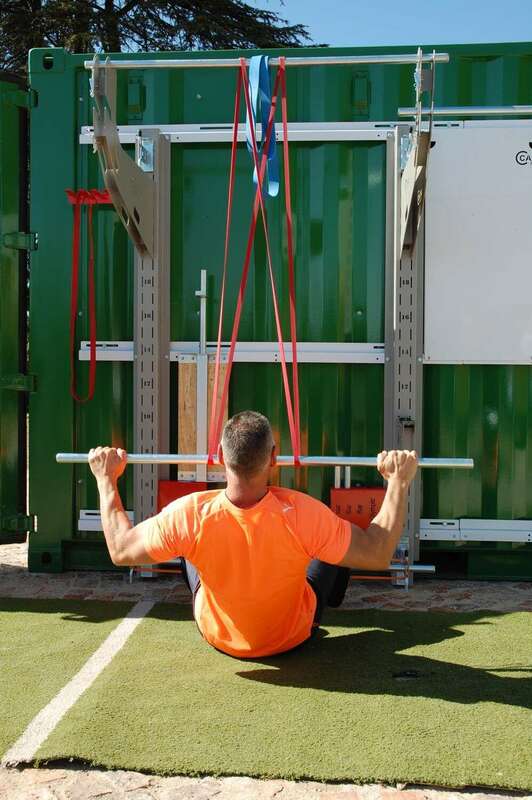 "The real beauty of the Cactic Training System lies in its space-saving design. 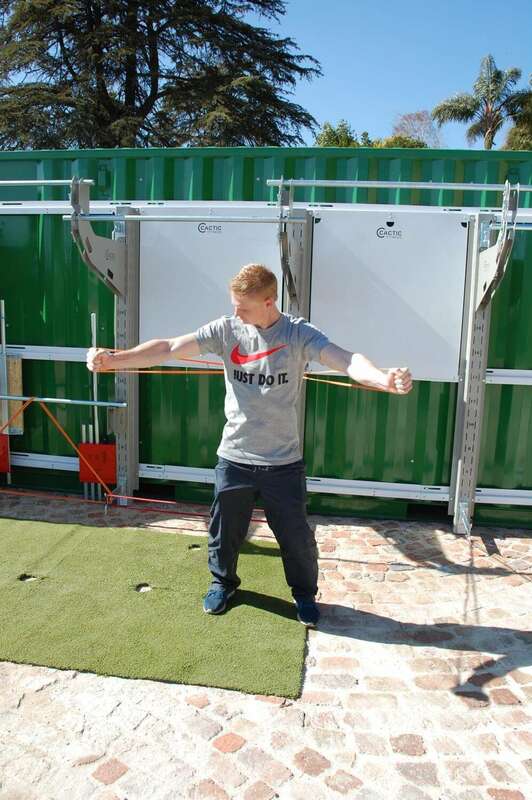 It's revolutionary as you are able to simultaneously exercises upper body, lower body and activate the stabilising muscles of the back and abdomen. 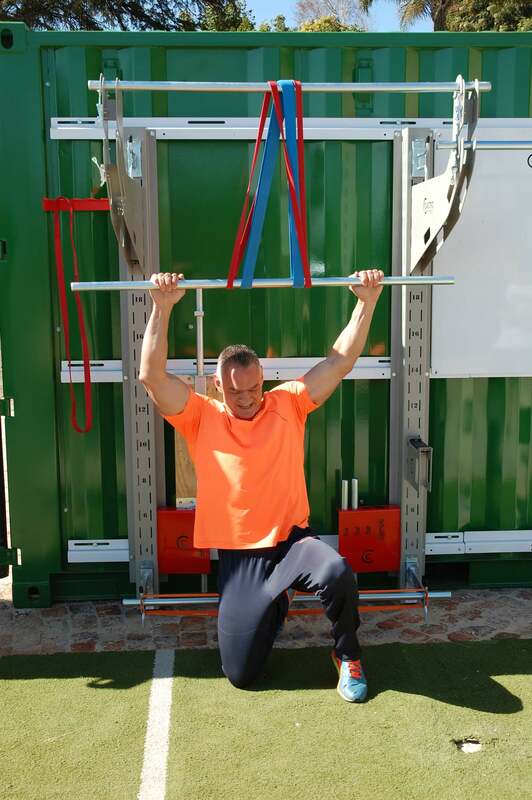 The best value for me is that I can handle 20 to 30 athletes at the same time with various pieces of equipment attached to the system. The Cactic system is the base from where everything happens." 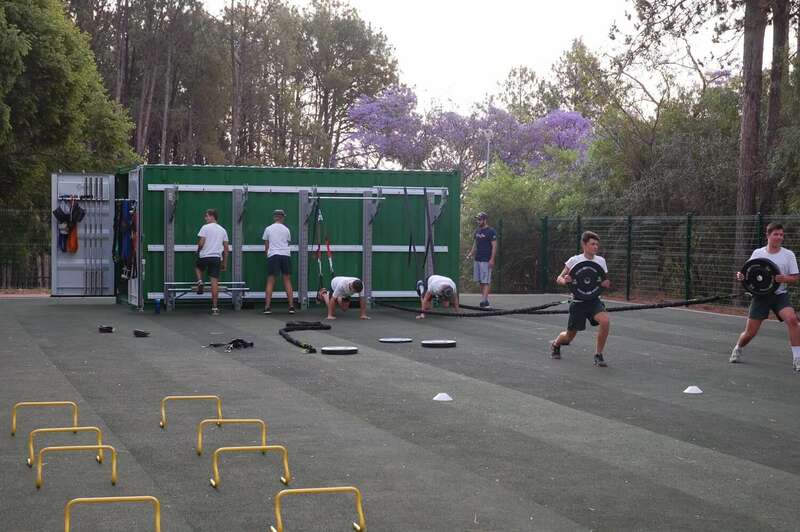 365 Degree training solution + Workout Stations inside the Multi-Sport S container gym. 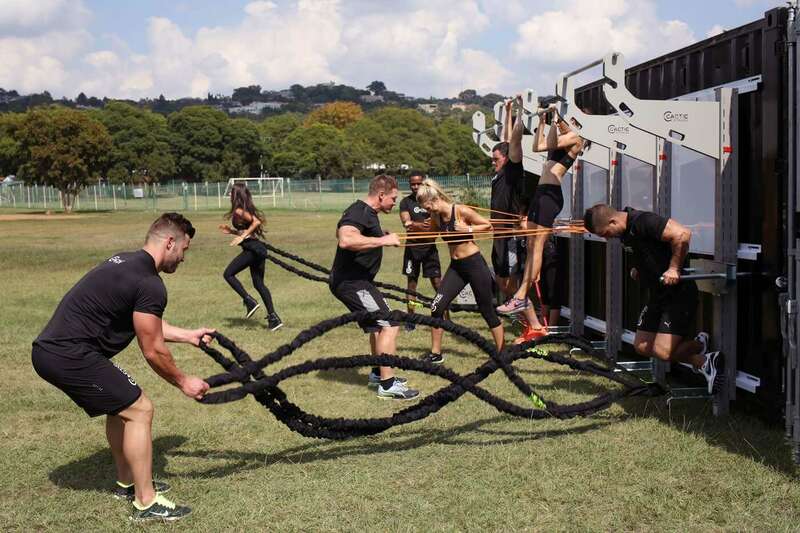 Enough space and options for up to 40 people to train at the same time. 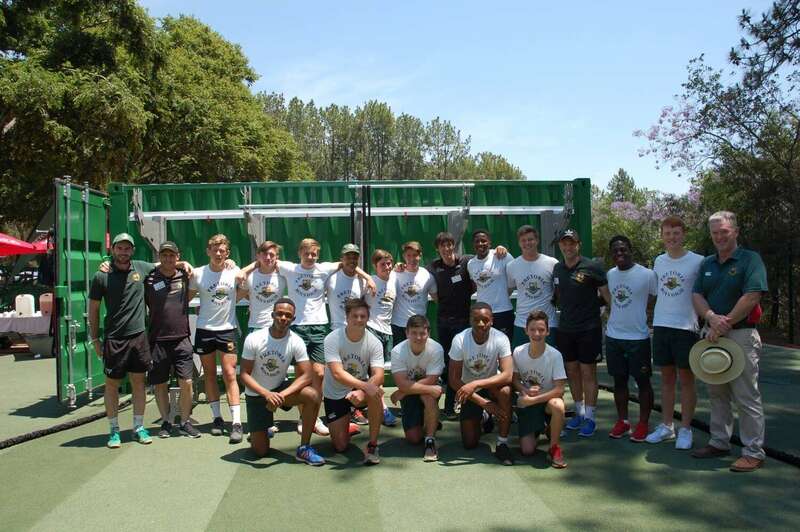 The perfect Training System for groups, teams and schools. 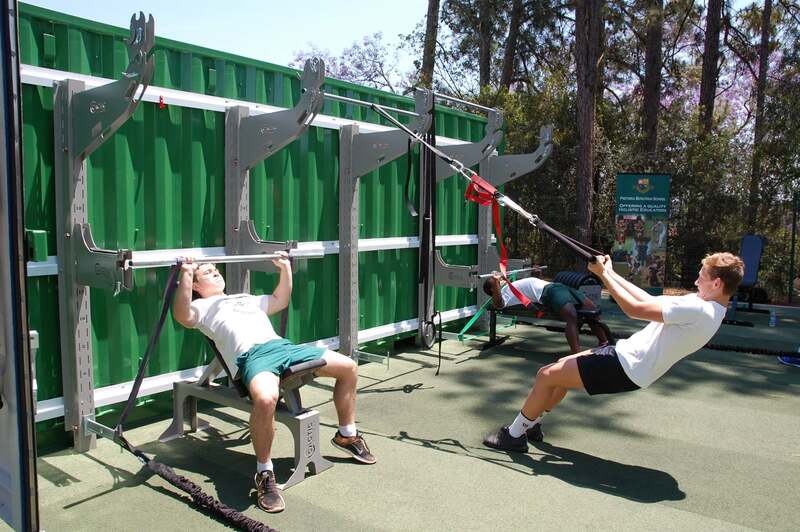 Create the gym that you want for your workout programs. 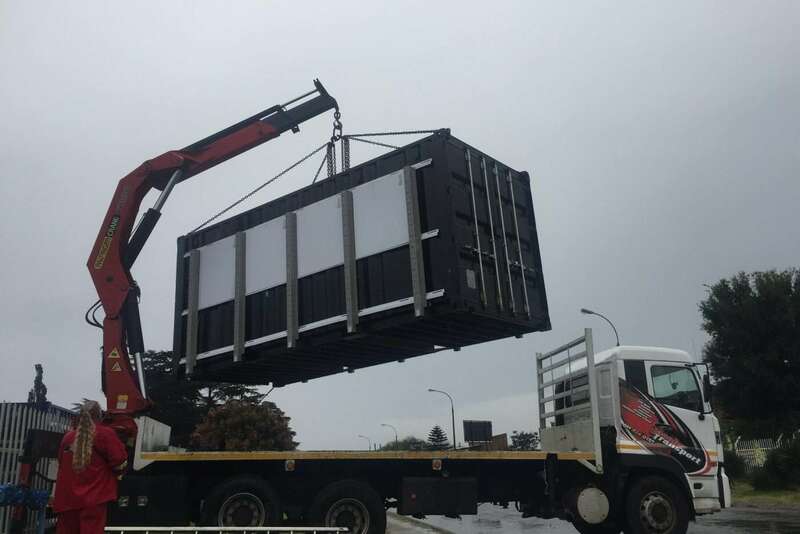 From functional body weight training to heavy lifting. 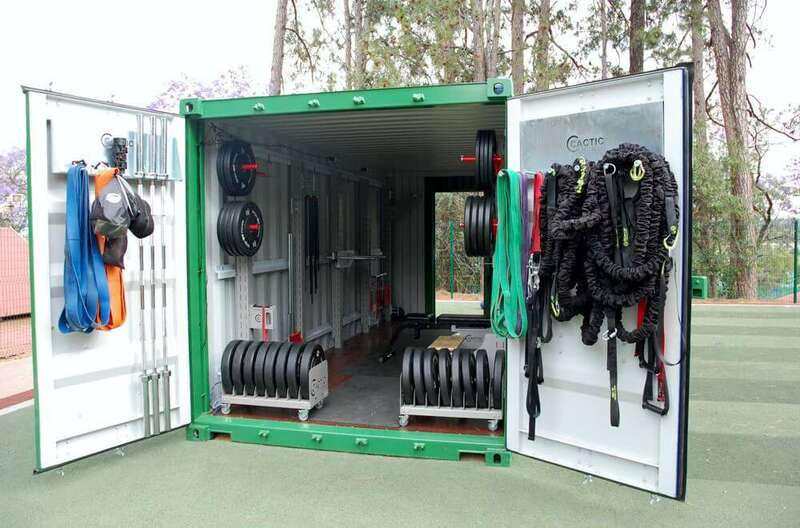 The Fitness Facility is delivered standard with a complete set of weight plates, bars, rubber loops, suspension straps and Gunex Ropes. 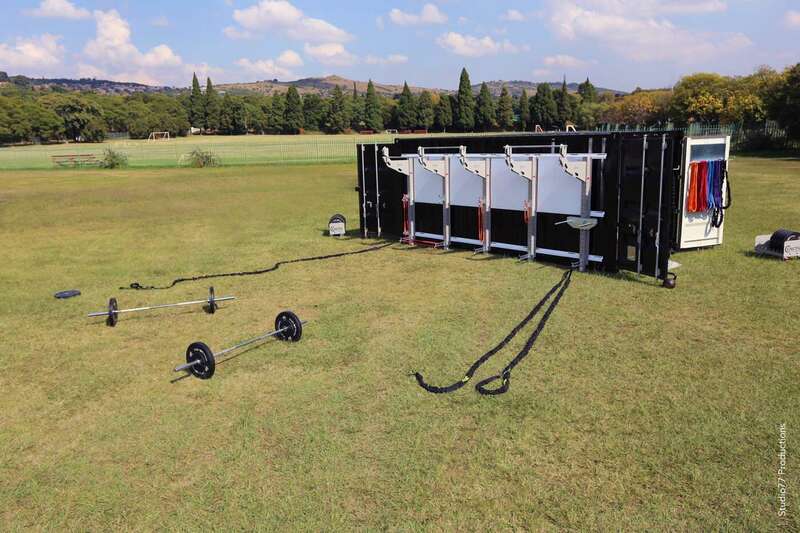 The weight plates even come with their own trolley to make it easy to get the weights to the workout stations around the outside. 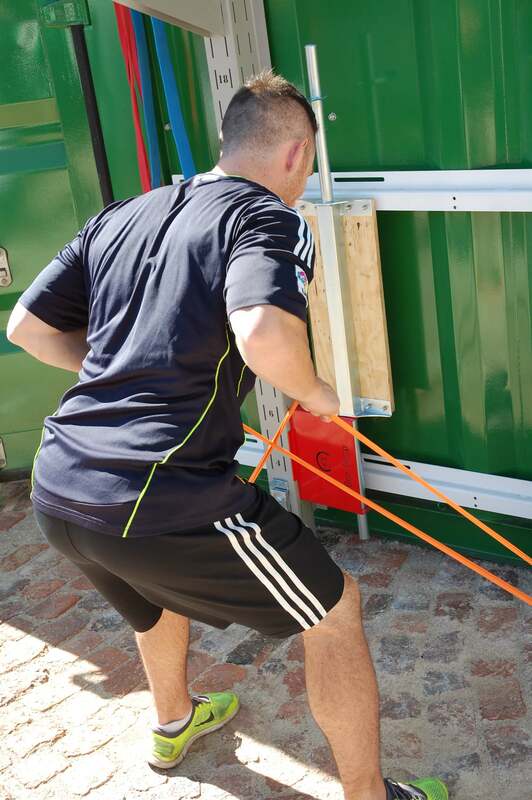 All equipment can be stored on easy to access stowage hooks for easy access and the gym locked down when not in use. 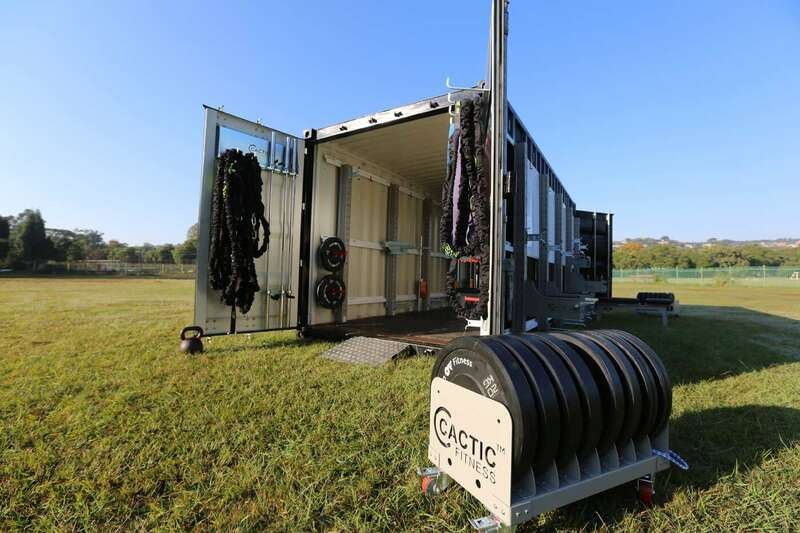 The unique design of Cactic Fitness Multi-Sport S mobile Fitness Facilities allows you to setup your gym on grass, paving, tar, fast and efficiently. 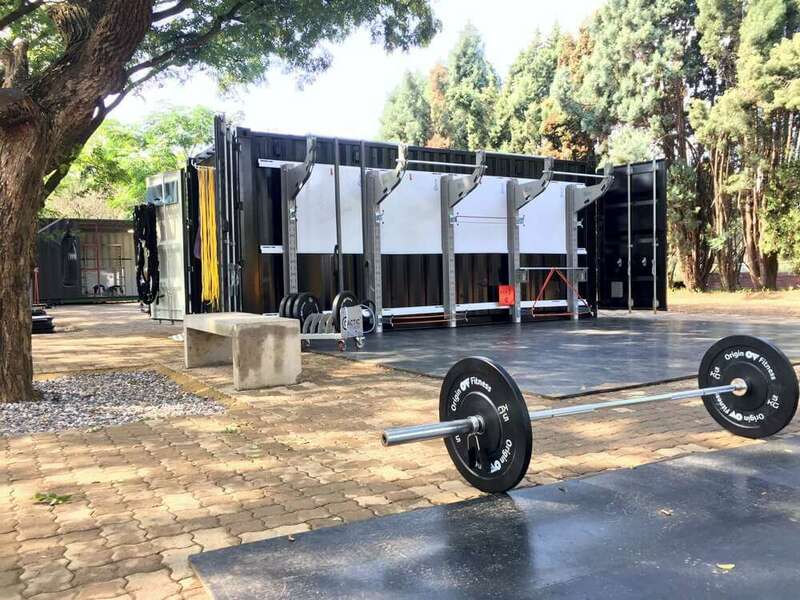 The Multi-Sport S mobile Fitness Facility can be transported with ease and placed wherever you need it, on grass or solid base.